time Please visit our website http://www.jungletots.co.za to locate the branch closest to you for available times. 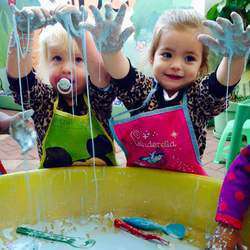 cost Please visit our website http://www.jungletots.co.za to contact the branch closest to you for more information. 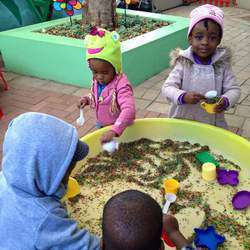 This is a playgroup that gives toddlers the opportunity to learn while having fun. * Fun filled mornings for 18 months - 4 years old. * 5 mornings per week. * A stimulating, happy and safe environment. Our goal at Jungle Tots is to awaken a joy of learning! 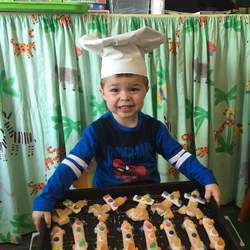 The themes are presented in a relaxed, stimulating and encouraging atmosphere and they introduce new concepts, experiments, movement, creative activities, singing and so much more. The children explore each theme from all 5 senses including touch, taste, smell, hearing and sight. We encourage each child to explore at their own pace and to enjoy each fun activity and new theme to the fullest. Please visit http://www.jungletots.co.za to find a branch closest to you.